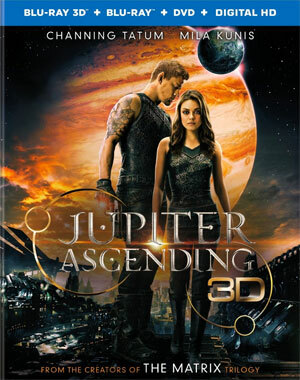 Warner Brothers Home Entertainment has just added the science fiction action adventure Jupiter Ascending to its line-up, bringing the Wachowski Brothers’ latest movie to DVD and Blu-Ray Disc in June. The DVD version will feature the movie, along with the Featurettes ”Jupiter Jones: Destiny Is Within Us” and ”Jupiter Ascending: Genetically Spliced”. The Blu-Ray version will offer a good number of additional bonus features, aside from the Featurettes ”Jupiter Jones: Destiny Is Within Us” and ”Jupiter Ascending: Genetically Spliced”. There will also be ”Caine Wise: Interplanetary Warrior” and the Featurette ”The Wachowskis: Minds Over Matter”, as well as Worlds Within Worlds Within Worlds”. Also, keep your eyes open for Bullet Time Evolved and ”From Earth to Jupiter (And Everywhere in Between)”. 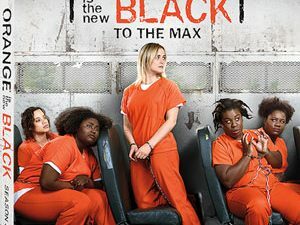 The movie was playing to lackluster box office receipts, but you can own the film on June 2 for $28.98 as a 2-disc DVD release or $44.95 as a Blu-Ray/DVD + DigitalHD combo, as well as for $4495 as a Blu-Ray 3D/Blu-Ray/DVD + DigitalHD combo.